Bleach is preparing for one of its biggest moments yet. After being away for years, the supernatural series will make a comeback this summer when its first live-action movie goes live. And, yes — the project will feature two of Ichigo Kurosaki’s most infamous classmates. Not long ago, Bleach let fans know that Orihime Inoue and Yasutora Sado (Chad) will appear. The big reveal went live after the film shared character visuals for three newly announced characters whom fans should also recognize. After all, Urahara is easy to spot, and who can forget Ichigo’s parents? 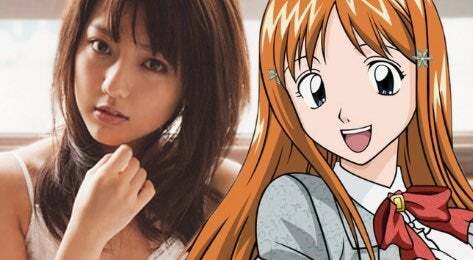 “Additionally, a classmates with a natural personality and an idol face will appear: Erina Mano as Orihime Inoue,” the casting announcement explained. As you can see above, the actors picked for Orihime and Chad are pretty solid. Erina Mano may be best-known for her career as an idol singer, but she has a hefty acting resume as well. Mano has worked on projects such as Orange, Kamen Rider, and more. When it comes to Chad, Tomo Koyanagi got his start in entertainment as a drummer in ONE OK ROCK. In 2006, the musician left the band to pursue a career in acting, and Koyanagi can be found in projects like Tokyo Sonata and more. Right now, there is no word on when fans will get to see these characters’ visuals for Bleach. However, that reveal may come sooner than expected. A new report just suggested the film will debut a new trailer soon, and the clip may feature all of these newly announced characters as such. The live-action Bleach adaptation releases July 20 in Japan and has released its first full trailer. The film will adapt the first arc of the series, the "Substitute Shinigami" arc. The current cast includes Sota Fukushi as Ichigo Kurosaki and Hana Sugisaki as Rukia Kuchiki is MIYAVI, who will play Byakuya Kuchiki Ryou Yoshizawa, as Uryuu Ishida, and Taichi Saotome as Renji Abarai. How are you feeling about this live-action adaptation so far? Let me know in the comments or hit me up on Twitter @MeganPetersCB to talk all things comics, k-pop, and anime!